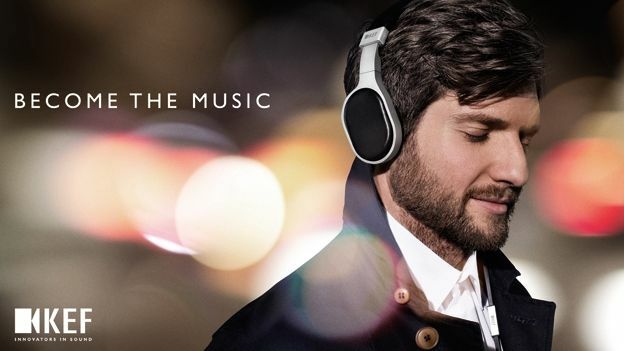 Veteran British audio brand KEF has launched its first ever range of headphones. The company has unveiled two headphones, the M500 over-ears, and the M200 in-ears. According to KEF, both models have been designed to deliver the same audio quality seen in its speaker range. Both headphones have already been named 2013 Red Dot Award winners. The Red Dot Awards are one of the world's top product design prizes. According to KEF, it has leveraged more than 50 years experience in developing speakers to create the headphones. The speaker maker claims they have "the clearest and most accurate audio production possible". The over-ear M500s use a full range 40mm neodymium driver, with a high-quality, super-light, copper-clad aluminium voice-coil. According to KEF, it has been "painstakingly" tuned to deliver a sound with a tight, clean bass. "The aim was to provide speaker quality reproduction from headphones," the company said in a statement. The M500 features a precision engineered aluminium frame, with breathable and sweat resistant memory foam in the ear pads and headband. The frame also features a smart hinge. It rotates on two axis, rather than hinges. It means that they are more adaptable to different head shapes and sizes. It also means they can be folded up much more compactly than many rival products. The M200 earphones use an adjustable arm to help keep the speaker in the ear. In addition, the a rigid aluminium driver housing helps to eliminate unwanted vibrations and raise sound performance. They also feature a unique dual dynamic driver technology. According to KEF, it is a two-way system with a 10mm driver for the bass and a 5.5mm dynamic neodymium driver for midrange and high frequencies. Both headphones are Apple-compatible and feature inline remotes that can control music being played. The M500s have a recommended retail price of £250, while the M200s have an recommended retail price of £150.